Open in winter, Double Diamond X Ranch is a winter wilderness destination. Enjoy wildlife viewing, hiking, and fishing. DDX Ranch is in the middle of the highest concentration of natural waterfall ice in the lower 48 - stay with us for a world-class winter experience. 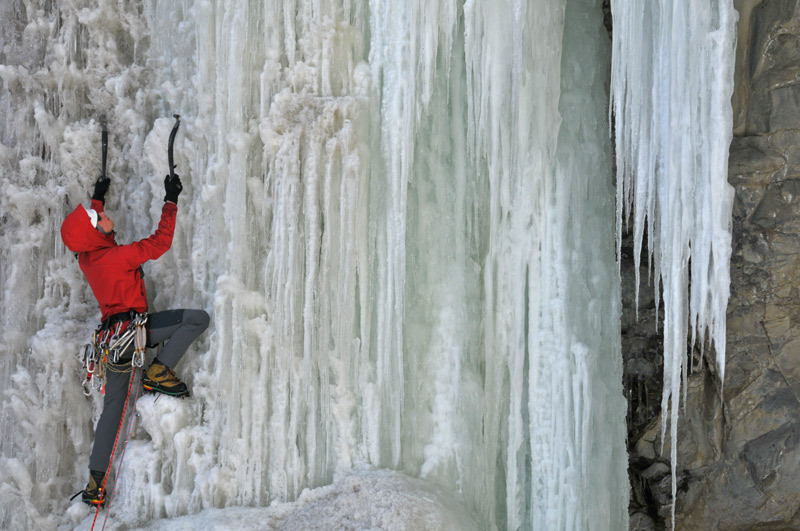 The upper South Fork valley is home to the highest concentration of natural waterfall ice in the lower 48 states - this makes for some of the best ice climbing in the country. And we're is in the middle of it all - many routes are within minutes of the Ranch. Skip the time and expense of driving back and forth to town - stay with us in the valley. We're set up to host guests, climbers and guides, and clinics of any size. Our cabins are warm and available even in the coldest of conditions. If you're thinking of coming to the South Fork to climb, a visit to COLDFEAR is a must - there, you'll find everything you need to know about climbing in the Valley.